You may recognize this 1949 GMC 250 panel truck. 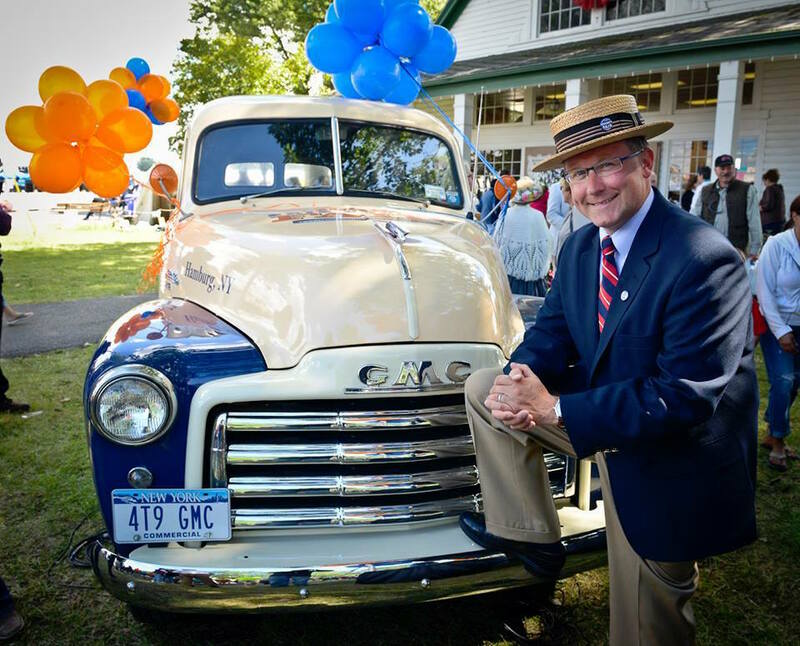 It’s appeared at events and has been driven in parades hundreds of times since 2013 when it became the mobile ambassador of the Erie County Fair in Hamburg (the one in New York, for you out-of-towners). One of the region’s most popular events, the Fair has been ranked the 10th largest in the country when compared to other state/county fairs. The Fair's Marketing manager, Marty Biniasz (that’s him on the right), is the caretaker of the Fairmobile, and he puts about 1,500 miles per year on it. He told us he even takes it out in the winter (weather permitting, of course) just to keep it running clean.